Mary Louise Miller (1924–2003) had a brief but indelible career as a child star during the silent film era. Her film career began when she was just six months old and ended at the age of four, during which time she starred opposite such screen legends as Clara Bow, Mary Pickford and even canine star Rin Tin Tin. 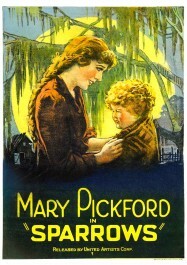 Mary Louise Miller (right) depicted on the theatrical poster for Sparrows (1926), opposite Mary Pickford. Miller’s most famous role comes in Sparrows (1926), where she plays a kidnapped baby rescued by Mary Pickford. The role gave rise to Miller’s notorious place in film history as “The Million Dollar Baby” when newspapers circulated a story that Pickford had grown so attached to Miller during filming that she offered her parents a million dollars to adopt her. While the story may seem like obvious tabloid fodder, to watch Miller’s natural screen charisma and winning smile in action makes one understand how such a rumor could be spread. Although she made appearances (some uncredited) in 16 silent films, few have reached home video. Flicker Alley is proud to present one of Mary Louise Miller’s rare film performances in Children of Divorce (1927), available for the first time ever in its world premiere on Blu-ray/DVD on December 6, 2016. As the young daughter of Clara Bow and Gary Cooper in an uncredited role, Miller plays a small but pivotal part in the film, about a tragic love triangle involving Bow, Cooper and Esther Ralston during an era of concern over rising divorce rates. In this exclusive interview, Louise Paziak, daughter of Mary Louise Miller, reveals the true story behind the “Million Dollar Baby” rumor, the lasting impression her mother made on Gary Cooper, and her mother’s post-child-star career. Mary Louise Miller in Children of Divorce (1927). As an adult, how did your mother look back on her young film career? Did she share her films with you? My mother always looked back on her movie career as a wonderful adventure that she shared with my brother and myself. She and my grandmother would often reminisce about those early years and the many actors she worked with in those 16 films. Obviously, my mom didn’t have a lot of memory of her early career, since she started working at six months of age. In some films, she only portrayed a baby in a few key scenes. But in those films where she had a larger role, my mom had many happy memories. Did she ever mention Children of Divorce to you? Have you seen it before? My mother did mention Children of Divorce to me over the years. Although she didn’t have as much screen time in that film as she did, for example, in Sparrows or The Night Cry, the eventual star power of the film’s stars made it memorable. I have not screened very many of Mom’s films simply because there weren’t any copies available. I’ve only seen three: Sparrows with Mary Pickford, The Night Cry with Rin Tin Tin, and The Unchastened Woman with Theda Bara. I do have movie stills from some of her other films. I only wish some of them could be converted to DVD. 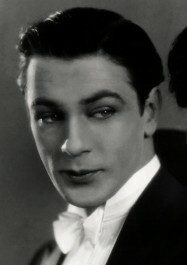 “Pretty Papa” Gary Cooper in a publicity still for Children of Divorce (1927). Did she ever mention any memories of Clara Bow, Esther Ralston or Gary Cooper? 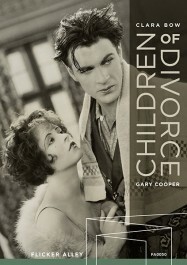 My mom enjoyed working with Clara Bow and Gary Cooper in Children of Divorce. Because she was so personable and such a beautiful baby, my mom was a favorite of the adult actors as well. She seemed to know that the actors playing her “parents” in movies were pretending. She would call them her “pretty mama” or “pretty papa.” One time when she referred to Cooper as her “pretty papa,” one of the crew scoffed, “That ugly lug. You call him pretty!” The comment made Cooper blush all the way through his heavy stage makeup. 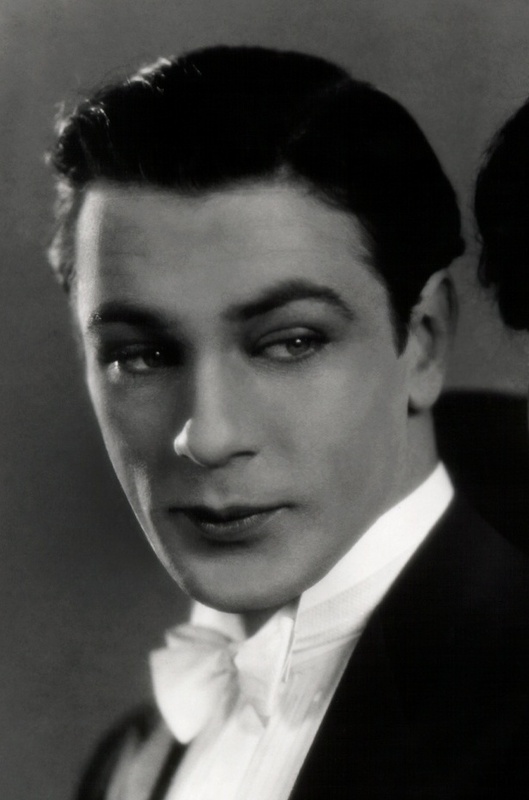 Years later, when my mom was a young adult, Gary Cooper was driving down Hollywood Blvd when he spotted my grandfather sitting on a bus bench. He pulled over to the curb and called out, “Hey, Eddie. How’s the baby?” It seems my mom made a lasting impression on her co-stars. 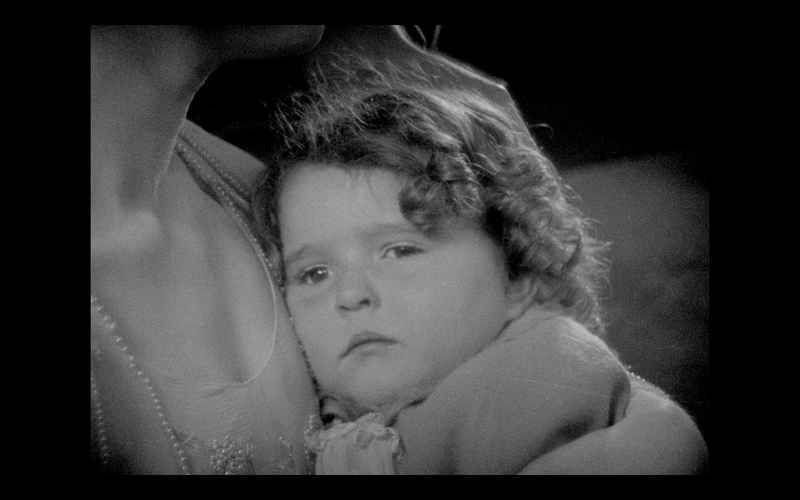 Mary Louise Miller in Esther Ralston’s arms, in a pivotal scene in Children of Divorce (1927). It appears she filmed Children of Divorce at the age of three. Did she enjoy acting at such a young age, and did she understand what was going on on set or did she treat it like a game? There are some very serious scenes in Children of Divorce and I get the feeling young Mary Louise is reacting naturally with sadness to the serious expressions of the adults around her. My mom loved her work in the movies. She knew it wasn’t real, but she also knew it was “working.” My grandparents were always on the set with her. My grandfather had a theatrical background when he came to this country. He was very astute when it came to little pieces of business with Baby Mary Louise that appeared more natural on film. Despite her young age, my mom was like a little sponge, absorbing the emotions and atmosphere of the people around her. Is there any truth to the story that Mary Pickford and her husband Douglas Fairbanks offered to pay a million dollars to adopt Mary Louise? How did she feel about being known as “The Million Dollar Baby”? Flicker Alley’s preview clip of Mary Louise Miller in Children of Divorce. How do you feel seeing your mother immortalized on screen as a young child? 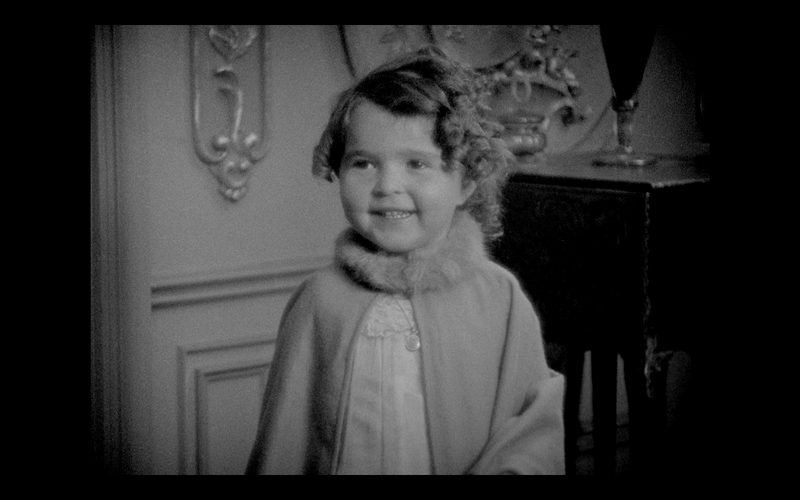 In Children of Divorce, Esther Ralston takes one look at little Mary Louise and is instantly taken with her. There is something special about Mary Louise’s screen presence that continues to bring smiles to audiences today. I am so blessed to be able to see my mom at such a young age. To see her performing in movies fills me with such a sense of pride for her accomplishments. I’ve attended screenings of Sparrows over the years and I’m always approached by audience members who comment on my mom’s natural talent and screen presence. Film audiences know your mother’s work as a child, but she continued to work as an adult in show business as a model, singer and stage actor. What would you like audiences to know about your mother outside of her early film work? Mary Louise Miller worked in all areas of show business throughout her life. 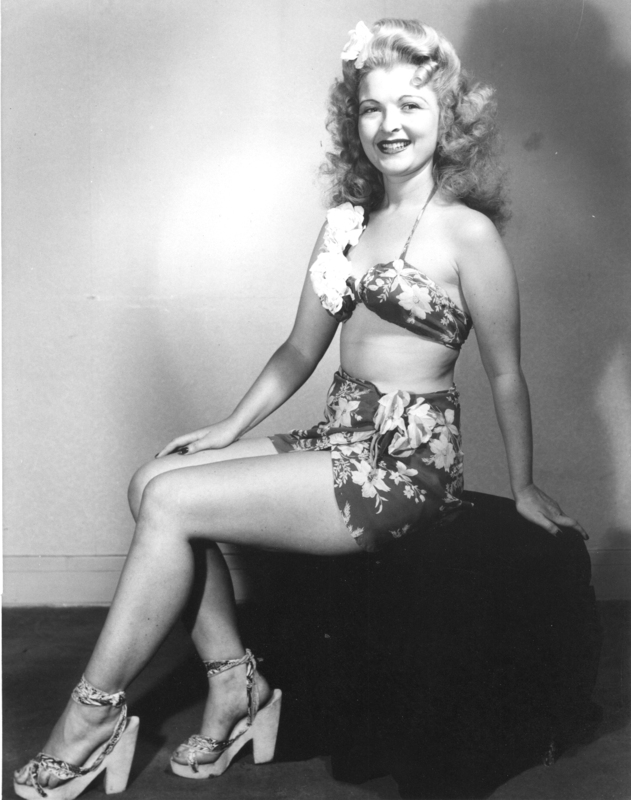 She entertained the troops during World War II with her acting, singing and modeling roles. Even after she married and had children, Mary Louise continued to hone her creative skills. 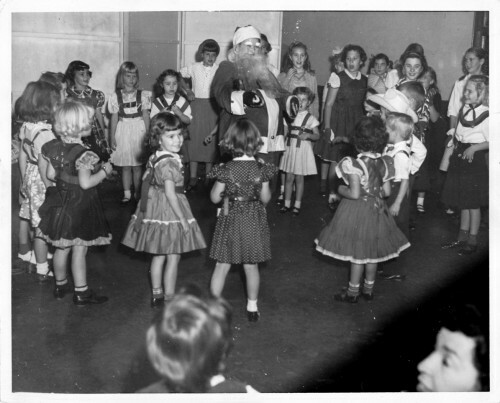 I have a photo from 1952 where my mom was dressed as Santa Claus performing for children at a local Park and Rec program. Interestingly, she didn’t need any stuffing to fit into the Santa suit—she was 8 months pregnant with me! 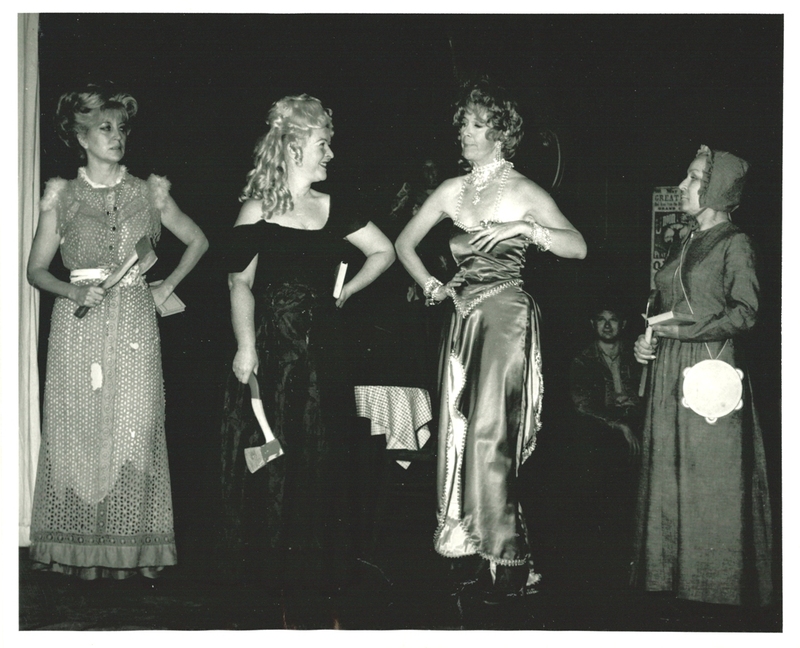 Mom kept performing into her later years until her health problems got in the way during the 1980s. Miller entertaining children as Santa Claus while pregnant with her daughter Louise in 1952. Miller modeling c. 1945. “Her photos were frequently used in ‘Pinup’ magazines popular with young men in the armed services during the war,” says Paziak. Our sincere gratitude to Louise Paziak for granting us this interview and sharing these photos from her personal collection. 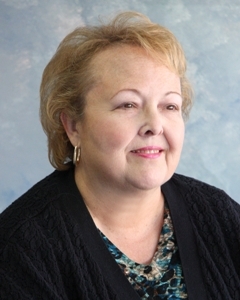 A native of Burbank, CA, Louise Paziak recently retired from the Burbank Public Library after 43 years of service to the city. Over the past 10 years, she was involved with library programming and publicity. In that capacity, she was instrumental in bringing many authors to the library, as well as other cultural programs.